The Light Bulb That Zaps Bugs! The Bug Buster Light Bulb guards you and your family from pesky mosquitos and bugs with its bright LED light that attracts bugs and zaps them on contact. 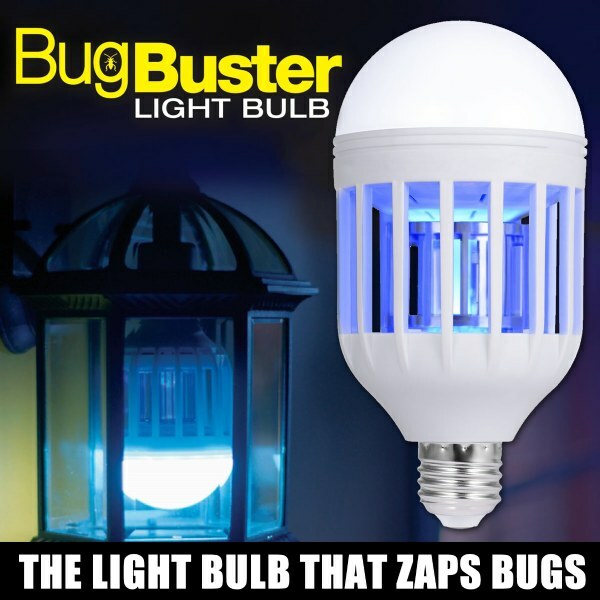 Whether inside or outdoors the Bug Buster Light Bulb will get rid of annoying bugs. The Bug Buster Light Bulb utilizes a super bright LED to draw in mosquitos and other flying insects and kills them quickly and efficiently. The bright LED light is suitable for illuminating surrounding area. Easy to install - screws into standard socket just like a normal light bulb. Bug Buster Light bulb is 100% chemical free and safe to use inside and outdoors.